What a great party favor or a gift for the friend with a great sense of humor (isn't that all of them). 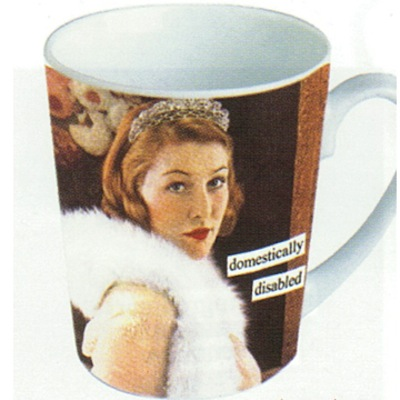 Anne Taintor is the creator of this funky, funny and witty mug...did we mention retro? These mugs are perfect for your morning cup of coffee or tea. Each ceramic mug is 12 oz in size.